Where there’s a hardware flaw, there’s a cottage industry to take advantage of it, and the Switch dock’s propensity to scratch console screens is no different. There’s still no confirmation if the scratches are being caused by sloppy owners or the odd bent dock, but whatever, if you’re concerned that a cheap piece of plastic is going to mess up the screen of your new console, there are a bunch of people on Etsy with some very quaint workarounds. 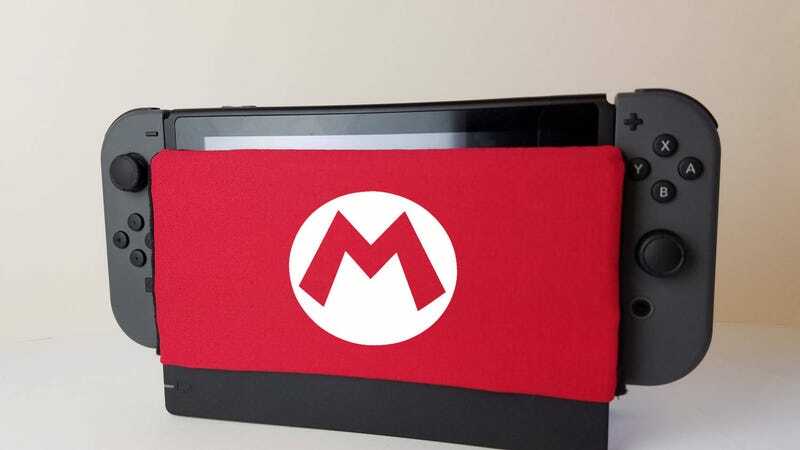 Seller TinckoyMakesitSew (via Nintendo Life) has in the time since the console’s launch come up with a number of designs for “Dock Cozys”, which solve the issue not by correcting user technique or Nintendo’s plastic, but by covering half the dock in a nice soft, microfiber sock. I like how they look cool even if you have no issues with scratching whatsoever, and I guess could then just be used as a way to clean your screen. You can check out the full range of covers here.